If you have chronic pain and are looking for alternatives to medication and surgery, you have a lot of options. Alternative pain treatments that doctors once scoffed at are now standard at many pain centers. "That phrase 'alternative pain treatments' doesn't mean much to me," says Seddon R. Savage, MD, incoming president of the American Pain Society. "I think the line between them and mainstream treatment is pretty blurry now." However, not all alternative pain treatments work. Some can even be risky. Some alternative treatments may help with pain from bad backs, osteoarthritis, and headaches, but have no effect on chronic pain from fibromyalgia or diabetic nerve damage. "You have to do your homework when you're considering alternative treatments for pain," warnsAnne Louise Oaklander, MD, PhD, an associate professor of neurology at Harvard Medical School and director of the Nerve Injury Unit at Massachusetts General Hospital in Boston. "Make sure that you're trying a treatment that is likely to work in your case." And always discuss any alternative pain treatments you want to try with your regular doctor. Here's a rundown of the most commonly used alternative treatments for chronic pain. Acupuncture. Once seen as bizarre, acupuncture is rapidly becoming a mainstream treatment for pain. Studies have found that it works for pain caused by many conditions, including fibromyalgia, osteoarthritis, back injuries, and sports injuries. How does it work? No one's quite sure. It could release pain-numbing chemicals in the body. Or it might block the pain signals coming from the nerves. "I think there's good scientific evidence for acupuncture and I prescribe it," says F. Michael Ferrante, MD, director of the UCLA Pain Management Center in Los Angeles. "The nice thing is that even if it doesn't work, it doesn't do any harm." Marijuana. Setting aside the controversy, marijuana has been shown to have medicinal properties and can help with some types of chronic pain. There's strong evidence that marijuana has a modest effect on certain types of nerve pain -- particularly pain caused by MS and HIV, says Steven P. Cohen, MD, associate professor in the division of pain medicine at Johns Hopkins School of Medicine in Baltimore. Since it also relieves nausea, marijuana can help people who are suffering side effects from chemotherapy. However, marijuana does have risks. For some people, Cohen says, those risks can be serious, including addiction and psychosis. Because of the dangers and the obvious potential for abuse, experts generally only turn to marijuana when all other treatments have failed. On a practical level, you also need to be aware of the laws regarding the use of medical marijuana in your state. Could you be arrested for smoking marijuana for medical reasons? Talk to your doctor. There are also two prescription drugs, called pharmaceutical cannabinoids, that are derived from the active ingredient of marijuana. They are sometimes used for pain, although they are only FDA-approved for nausea caused by chemAlternative Trotherapy and HIV-related weight loss. Exercise. Going for a walk isn't a treatment, exactly. But regular physical activity has big benefits for people with many different painful conditions. Study after study has found that physical activity can help relieve chronic pain, as well as boost energy and mood. If you have chronic pain, you should check in with a doctor before you start an exercise routine, especially if you have any health conditions. Your doctor might have some guidance on what to avoid, at least as you get started. Chiropractic manipulation. Although mainstream medicine has traditionally regarded spinal manipulation with suspicion, it's becoming a more accepted treatment. 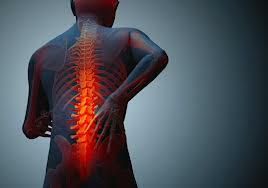 "I think chiropractic treatment works reasonably well for lower back pain," Oaklander tells WebMD. "Studies have shown that it's comparable to other approaches." Supplements and vitamins. There is evidence that certain dietary supplements and vitamins can help with certain types of pain. Fish oil is often used to reduce pain associated with swelling. Topical capsaicin, derived from chili peppers, may help with arthritis, diabetic nerve pain, and other conditions. There's evidence that glucosamine can help relieve moderate to severe pain from osteoarthritis in the knee. But when it comes to supplements, you have to be careful. They can have risks. Oaklander says that high doses of vitamin B6 can damage the nerves. Some studies suggest that supplements such as ginkgo biloba and ginseng can thin the blood and increase the risk of bleeding. This could lead to serious consequences for anyone getting surgery for chronic pain. "Supplements can cause real harm," says Ferrante. He points out that people with chronic pain can be at higher risk of side effects from supplements. Why? They're more likely than the average person to be taking other medications or getting medical procedures or surgeries. So treat supplements and vitamins warily, like you would treat any drug. Always check with a doctor before you start taking supplements, especially if you have any medical conditions or take other medication. Therapy. Some people with chronic pain balk at the idea of seeing a therapist -- they think it implies that their pain isn't real. But studies show that depression and chronic pain often go together. Chronic pain can cause or worsen depression; depression can lower a person's tolerance for pain. So consider giving therapy a try. Cohen says he's seen particularly good results with cognitive behavioral therapy, a practical approach that helps people identify and change the thought and behavior patterns that contribute to their unhappiness. Yoga. There's good evidence that yoga can help with chronic pain, says Cohen -- specifically fibromyalgia, neck pain, back pain, and arthritis. "I've been including yoga as part of the treatment that I prescribe since the mid-1980s," Savage says. Relaxation therapy. This is actually a category of techniques that help people calm the body and release tension -- a process that might also reduce pain. Some approaches teach people how to focus on their breathing. Research shows that relaxation therapy can help with fibromyalgia, headache, osteoarthritis, and other conditions. Hypnosis. Studies have found this approach helpful with different sorts of pain, like back pain, repetitive strain injuries, and cancer pain. Guided imagery. Research shows that guided imagery can help with conditions like headache pain, cancer pain, osteoarthritis, and fibromyalgia. How does it work? An expert would teach you ways to direct your thoughts by focusing on specific images. Music therapy. This approach gets people to either perform or listen to music. Studies have found that it can help with many different pain conditions, like osteoarthritis and cancer pain. Biofeedback. This approach teaches you how to control normally unconscious bodily functions, like blood pressure or your heart rate. Studies have found that it can help with headaches, fibromyalgia, and other conditions. Massage. It's undeniably relaxing. And there's some evidence that massage can help ease pain from rheumatoid arthritis, neck and back injuries, and fibromyalgia. Obviously, you need to be skeptical of any unproven or risky alternative pain treatments. What else should you be wary of? Experts say you should keep your expectations for alternative pain treatments modest -- especially when it comes to "miracle cures." Controlling chronic pain is not simple. A single supplement, device, or treatment is not going to make your chronic pain disappear. Good chronic pain management usually requires time and the collaboration of experts, says Savage. Savage says you also need to be suspicious of anyone pushing a treatment when the financial motive is blatant. That doesn't only apply to pain treatments advertised on dubious web sites asking for your credit card number. "I think people should be careful whenever a person is making a living off of an untested pain remedy," says Savage. "So I'm concerned whenever I see providers selling their own expensive and unproven remedies. You need to be very careful." If you're living with chronic pain, considering alternative treatments makes a lot of sense. But remember that even if a treatment is alternative, it has to be integrated with your overall pain management plan. Don't try out these techniques on your own without your doctor's knowledge. Instead, you and your doctor should talk over the pros and cons of different approaches. What's most likely to help in your case? What will complement your other treatments? Experts say that you should try to keep up to date with research into alternative treatments for chronic pain. The options for people with chronic pain are always growing -- and some of the odder treatments of today might become the mainstream treatments of tomorrow. SOURCES:Steven P. Cohen, MD, associate professor, department of anesthesiology and critical care medicine, division of pain medicine, Johns Hopkins School of Medicine, Baltimore.F. Michael Ferrante, MD, director, UCLA Pain Management Center; professor of clinical anesthesiology and medicine, University of California, Los Angeles.Anne Louise Oaklander, MD, PhD, director of the Nerve Injury Unit, Massachusetts General Hospital, Boston.Seddon R. Savage, MD, incoming president, American Pain Society; associate professor of anesthesiology, Dartmouth Medical School adjunct faculty; director, Dartmouth Center on Addiction Recovery and Education, Hanover, N.H.Medscape Medical News: "Modest Exercise Helps Chronic Pain Patients. "National Pain Foundation web site: "Marijuana and Pain Management," "Living with Pain - Reaping the Benefits of Exercise. "Natural Medicines Comprehensive Database web site.Natural Standard web site. 2010 WebMD, LLC. All rights reserved.